Charles Manson. Photo via the Associated Press. While the prison has medical facilities, California prisoners generally are sent to outside hospitals if they need “surgical services, emergency care, or diagnostic services of an acute nature,” Joyce Hayhoe, a spokeswoman for the federal receiver who controls prison medical care, said Tuesday. 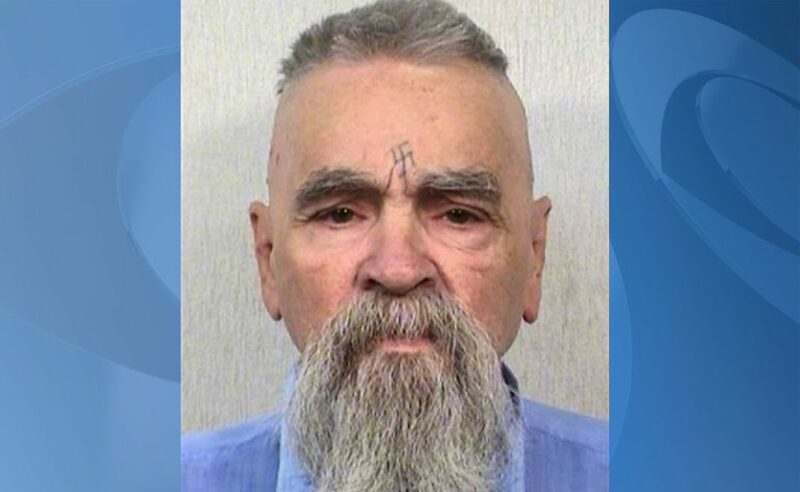 Manson is serving a life sentence for orchestrating the 1969 murders of pregnant actress Sharon Tate and six others in Southern California. Messages like “Pigs” and a misspelled “Healter Skelter” were scrawled in the victims’ blood on their walls and doors. The cult leader had attracted disaffected young people who lived in an old movie ranch on the edge of Los Angeles that Manson turned into a commune. Prosecutors said Manson and his “family” of followers were trying to incite a race war he dubbed “Helter Skelter,” taken from the Beatles song. Manson, followers Susan Atkins, Patricia Krenwinkel, Leslie Van Houten and Charles “Tex” Watson were convicted of murder and sentenced to death. Another Manson Family member, Lynette “Squeaky” Fromme, was never charged in the murders but went to prison later for trying to assassinate President Gerald Ford in 1975. Fromme, whose gun didn’t fire, was paroled in 2009 after 34 years behind bars.